Repeated measures data arise when the same characteristic is measured on each case or subject at several times or under several conditions. There is a multitude of techniques available for analysing such data and in the past this has led to some confusion. 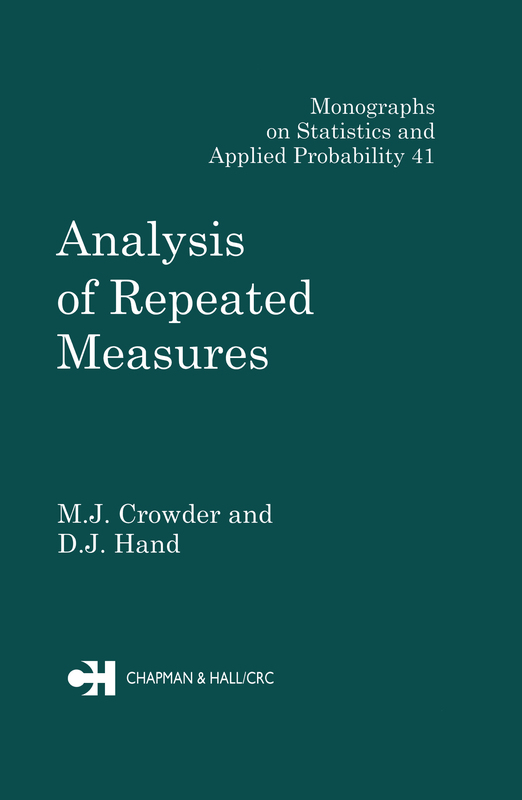 This book describes the whole spectrum of approaches, beginning with very simple and crude methods, working through intermediate techniques commonly used by consultant statisticians, and concluding with more recent and advanced methods. Those covered include multiple testing, response feature analysis, univariate analysis of variance approaches, multivariate analysis of variance approaches, regression models, two-stage line models, approaches to categorical data and techniques for analysing crossover designs. The theory is illustrated with examples, using real data brought to the authors during their work as statistical consultants.